Things we encounter every day can often hide many mysteries that few people know about. Here are just a few fascinating, surprising, and downright strange things we at Bright Side found out about food. The color of a chili pepper actually reveals nothing about its taste. You should actually pay attention to its size — the smaller it is, the hotter it will be. Avocados are a seriously unpredictable fruit. Never, ever feed birds avocado, even if they clearly want it themselves. It’s very poisonous for them. The geometric design stamped on an Oreo cookie is supposed to be a variant of the Nabisco logo. But some believe it also resembles the Cross of Lorraine carried by the Knights Templars. However, most customers today see it as a four-leaf clover. It might sound crazy, but mosquitoes are actually attracted to people who’ve recently consumed a banana. We can only guess as to why this is the case. Gravity has a great sense of humor and likes to make fun of you when you want a drink. How can you deal with this? There doesn’t seem to be a solution. In every one of these bottles, the water is slightly different. You’ll never find two sources of water that are exactly the same. Coloring in food makes kids hyperactive, especially if it’s a red or yellow food coloring. You should never drink tea that isn’t freshly brewed. The Japanese have a saying: ’Yesterday’s tea bites worse than a snake.’ Cold tea irritates the walls of the stomach, so much so that the Chinese consider it the same as poison. Honey is immortal. The oldest pot of honey that is still edible (!) was discovered in 1922 by Howard Carter — in the tomb of Egyptian pharoah Tutankhamun. It was tested by biologists and found to still be fit for consumption. Camembert should be eaten as close to its use-by date as possible, but never after it. 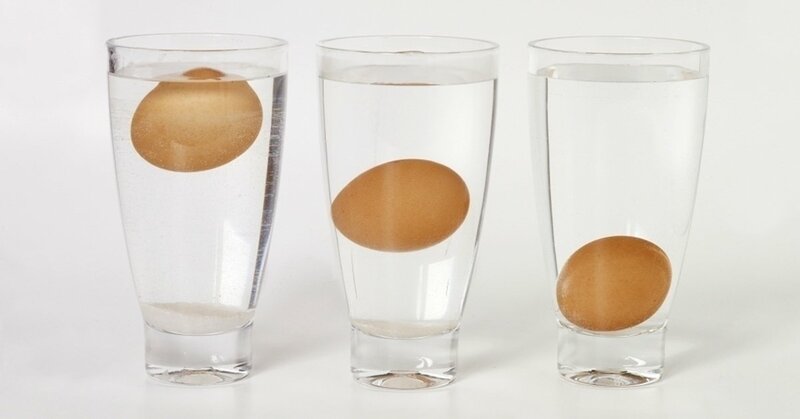 If an egg rises to the surface when placed in some water, it’s no longer edible. This occurs because gases accumulate inside an egg as it gets older, causing it to float. These are actually blood spots (or meat spots) caused by a ruptured blood vessel during the egg’s formation. The reasons may be the age of the hen and her diet, but the spots are no way a sign that the hen is unhealthy or has been mistreated in any way. Sauerkraut looks after your figure. Its sourness makes your body up to twice as effective at processing fats, helping you in turn to lose weight. If you eat a small piece of dark chocolate before a meal, it will up your blood with glucose. Even if you’re very hungry, this will prevent you from eating too much, leaving you satiated but not overfed. Food is always tastier at night. All food. Always.